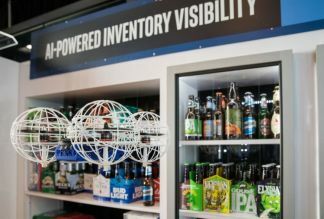 Pensa Systems, which develops autonomous perception systems, has launched a new retail inventory visibility system which has been tested recently by AB InBev in a Canadian retail outlet. The system is designed to inform retailers and brands of what is actually on shelves – across all stores, everywhere, at any point in time. The system uses computer vision to “see,” then patent-pending, artificial intelligence to learn, analyze and conclude, as well as agile, autonomous drones as roving eyes to automate visual tasks for the first time. The company claims to be the first to deliver a broadly scalable system that provides complete, real-time and actionable data and insights, enabling CPG brands and retailers to automatically and systematically track in-store inventory. An autonomous drone rapidly scans and automatically senses shelf conditions in the beer section of a store. It then reaches conclusions and makes predictions about stock levels and other conditions for sale. Anheuser-Busch InBev (AB InBev) — which is a Pensa customer and strategic investor through its ZX Ventures growth and innovation unit — has partnered with Pensa. Pensa has performed multiple live trials internationally, working with major CPG brands and retailers. The system has been piloted on multiple product categories and SKU formats in a variety of shelf conditions, including dry shelf as well as open and closed-air coolers. In the AB InBev trial, over a period of two weeks, the system scanned dry shelves and coolers with different product types ( cans, bottles, packs), capturing 15.9M SKU images during 200 flights (totalling 2 miles) with a 98% continuous learning accuracy.